Recently weather is so hot, i faced this problem that my lips get dry easily maybe due to the heat or my body is heaty or could be something else. I encountered this problem how about you? So I guess I have to apply lipbalm more regular. Talking about lipbalm hmm... I have a few types of lipbalm some are good, some are ok and some so so only. 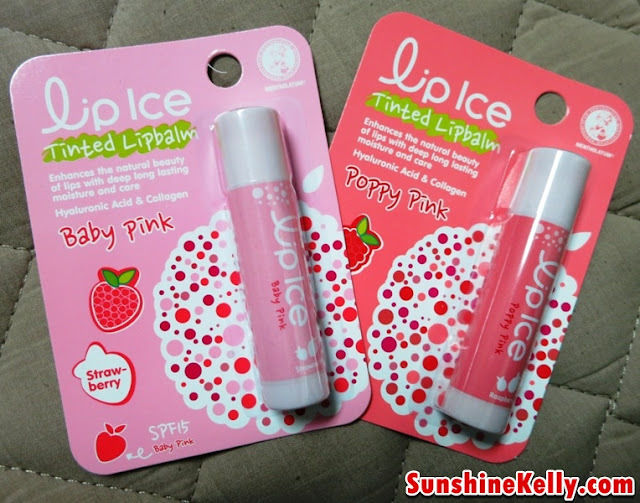 I have these two Lip Ice Tinted Lipbalm Poppy Pink and Baby Pink inside my drawer for quite sometime already. So I decided to try it out and the Poppy Pink looks attractive to me. This Lipice Tinted Lipbalm glides smoothly on my lips. I apply two layers so that thethe colors is noticeable. If I just appy 1 layer it don’t really look nice because there will be not many colors. 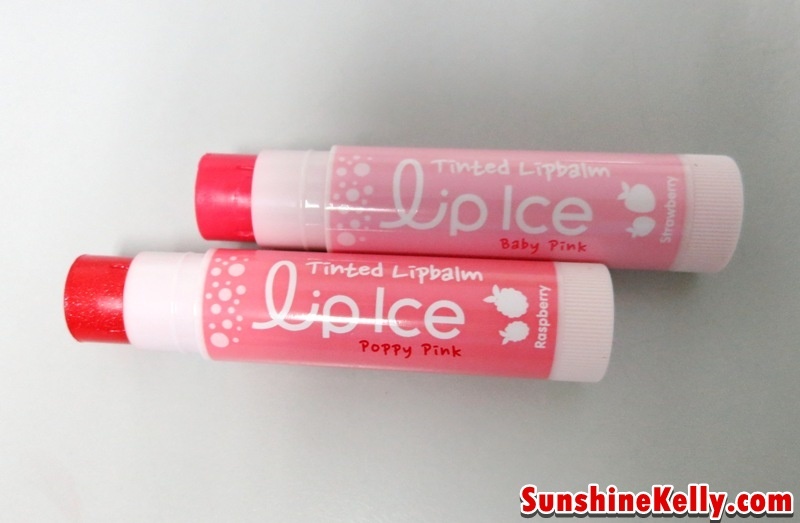 Do you know that this Lip Ice Tinted Lipbalm Baby Pink gives a light pink color with fresh Strawberry flavour, while Poppy Pink is light red with sweet Raspberry flavour. Rose Red on the other hand, is red in color with lovely Wild Berry flavour. Lip Ice Tintted it is formulated with SPF15 which blocks a broad spectrum of UV rays while at the same time giving you longer lasting protection from the sun. The moisture level for Lip Ice Tinted Lipbalm is acceptable consider for a lipbalm that only cost RM9.90. The smoothness of application and gloss as you can see is good. It does help to reduced the I like the sweet raspberry flavour on my Lip Ice Tinted Lipbalm Poppy Pink. However the color is not so lasting. I have to keep applying in throughout the day. Meadowfoam Seed Oil is another moisturizing ingredient contain in this product. Limnanthes Alba plant and it functions to keep lips moisturize all day long. Collagen on the other hand is known for its anti-aging properties that helps to restore skin elasticity. Do I need to remove the tinted lip balm with make-up remover?